It has been a long time since LX gained a victory over Warlocks, with the earlier March game this year cancelled due to snow. However, on a lovely sunny Autumn day thirteen LX players with an optimistic attitude ran out to play a strong Warlocks team. However, despite a strengthened team, LX soon found themselves 2-0 down playing towards the west goal, versus a team containing LXers Greg Hutchings, John Smith, and other skilful players from the South. LX were awarded several penalty corners, but were unable to get a positive shot on goal. In the second half, despite the intensive efforts of Imtiaz Sheikh and Sarosh Talati, and Harbhajan Singh (Paj) who had an excellent game, Warlocks extended their lead to 6-1 with a hat-trick from Stuart Neville-Rutherford, well supplied with subtle precise passes from Greg Hutchings and John Smith. For LX Gordon Small scored a fine individual goal on his return from a knee operation. Afterwards in ‘The Four Horseshoes’ PH, Warlocks eased LX’s discomfort over their loss with excellent hospitality. Imtiaz thanked Warlocks for the game, promising to reverse the result next year, and thanked Roy Woolley (Warlocks) and Nigel Guppy (LX) for umpiring. Particular thanks went to Barry Sewell (LX) for organising the fixture. George Harris responded on behalf of Warlocks, stating that next year it was hoped the two fixtures would continue. 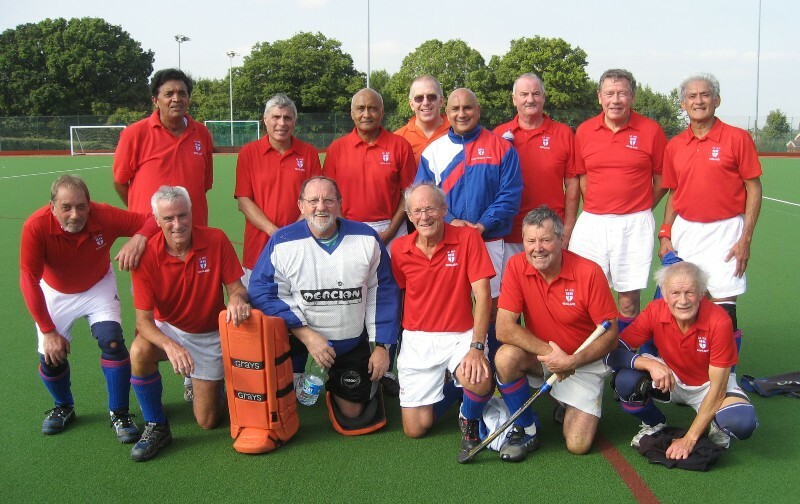 LX Squad: Barry Sewell (GK), Steve Branston, David Read, John Longden, Sudesh Nayar, Imtiaz Sheikh (Captain), Sarosh Talati, Harbhajan Singh (Paj), Adrian Money, Peter Ross, Pami Bolina, Austyn Leaverland, Gordon Small.